The Nutrient Management Guide (RB209) helps you make the most of organic materials and balance the benefits of fertiliser use against the costs – both economic and environmental. The guide explains the value of nutrients, soil and why good nutrient management is about more than just the fertilisers you buy; it can save you money as well as help protect the environment. The Nutrient Management Guide is published as seven sections. Once more SPot Scotland has shown you can vastly reduce nitrogen use without seeing any negative impact on yield or crop quality. In fact, we have seen better yields when less nitrogen has been applied. In this episode, we look at results from AHDB's Look Ahead survey of the Recommended Lists; what our Sittingbourne Monitor Farm group discussed around learning from organic and some interim cover crop findings..
A lowering of RB209 phosphate offtake values for cereals could be justified, according to results from an AHDB-funded review. AHDB updates the Nutrient Management Guide (RB209) in partnership with a number of organisations. The partnership is organised as a Steering Group supported by three Technical Working Groups. Members of the Steering and Technical Working Groups fund research and/or knowledge exchange on crop nutrient management. The partnership coordinates the research and knowledge exchange it funds to generate independent, scientifically robust and practical data on crop nutrient management for the UK. All of the research used to update the Nutrient Management Guide (RB209) is published by AHDB. George is Chairman of the Steering Group and farms in Scotland. He grows spring barley for seed in partnership with his brother on their family farm in Kinross, Perthshire. 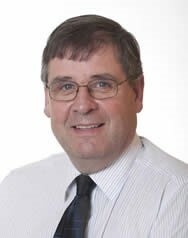 He has worked extensively with the NFUS, where he is treasurer, past chair of the Land Use and Environment Committee and also represents NFUS on AHDB’s Cereals & Oilseeds Board. George also chairs Scottish Agronomy, a co-op based in East Scotland that provides trials and advice to members, who farm around 50,000 hectares of cereals and potatoes. He said: "Crop nutrition is one of the key elements to optimising production in the field.